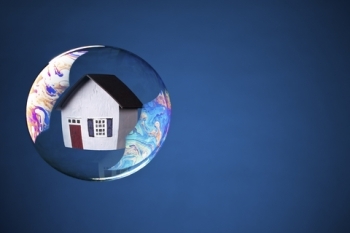 Aside from being the Canadian city with the highest average home price in the country, Vancouver is also the city most likely to experience a bubble, a recent study found. In its assessment of 18 cities worldwide, the UBS Global Real Estate Bubble Index 2016 revealed that Vancouver outstripped other overheated global markets like London, Stockholm, Sydney, and Munich in terms of housing meltdown risk, the Financial Post reported. “Moreover, loose credit conditions have offset the economic slowdown due to weak commodity prices. Mortgage growth rates have been accelerating lately. In response, to still-high foreign demand, the local government has introduced an additional property tax for non-resident investors,” the study added. UBS officials noted that red-hot housing markets worldwide all have “excessively” low interest rates. Canada, Australia, the United Kingdom, and the Eurozone share this characteristic. “When combined with rigid supply, as well as sustained demand from China, this has produced an ideal setting for excesses in house prices,” Claudio Saputelli and Matthias Holzhey wrote in their UBS report. The Real Estate Board of Greater Vancouver recently announced that the benchmark price for all housing types in the city grew by 31.4 per cent year-over-year in August, up to $933,100. These numbers came in the wake of a newly implemented 15 per cent foreign home buyers’ tax, which have spurred multiple reports of overseas nationals backing out from B.C. deals.